THE SMART SCOOTER. Utilizing Suzuki's most advanced technology, the Burgman 200 ABS has got everything you need and more. The plush double stitched seating and specially designed cutaway floorboards provide a comfortable riding experience that is second to none. 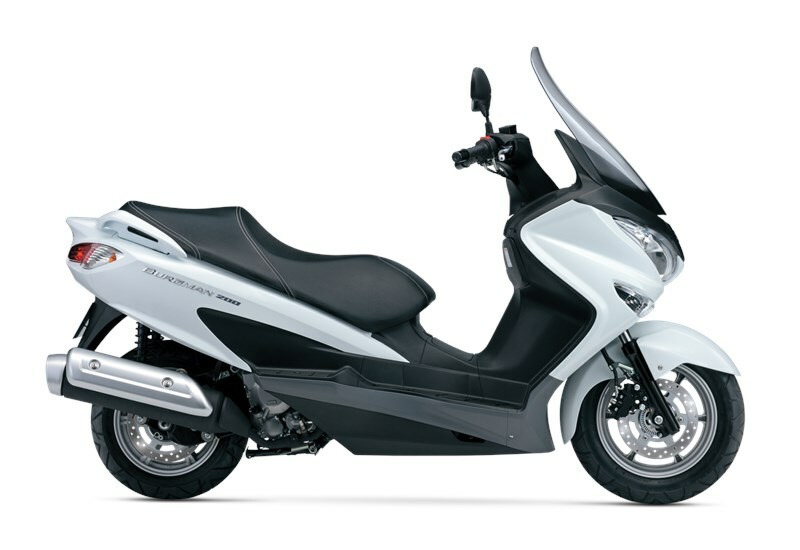 From the sleek elegant body styling to the powerful 200cc SOHC engine the Burgman 200 ABS offers best riding experience possible. Whether you are touring the town or commuting to work the Burgman 200 ABS is just what you need to get the job done with style and class.